Hollywood actors have been making cringeworthy political statements for decades. From corporate greed to climate change to animal rights, audiences have been forced to endure lectures from limousine liberals. Now one actor made a political statement that proves just how out-of-touch Hollywood elites are. 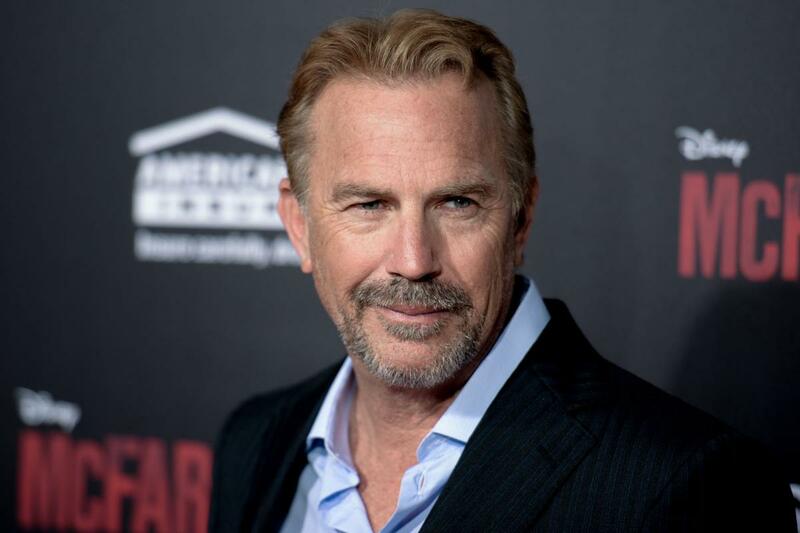 Actor Kevin Costner has been a recognizable figure in Hollywood for over 30 years. He’s made hit movies like “Dances With Wolves” and “Field Of Dreams,” and continues to work today. Costner has never been overtly political like some of his more strident colleagues, but recently he made a statement about the current immigration crisis that was mind-numbing. The comments were in reference to ICE agents removing children from illegal alien parents caught trying to unlawfully cross the southern border into the United States. The problems with Costner’s statement are manifold. First, ICE agents are merely enforcing the law. Democrats are defaulting to their hackneyed and repugnant “1930s Germany” comparisons, as they’re apt to do when talking about Republicans and their policies. Democrats are also invoking memories of Japanese internment camps in light of the attack on Pearl Harbor in 1941. Both of these comparisons are ridiculous. Both of those heinous acts were carried out against legal citizens who were already integrated into society. Their rights were stripped and their property was confiscated, which is a far cry from illegal aliens breaking the law. If Democrats want to change the law, they can. But they see this is a wedge issue going into the midterms, so they want the law to stay as is. Democrats want open borders, but few are willing to openly admit that. Instead, they lobby for the next-best thing, which is the President unilaterally (and unconstitutionally) telling ICE agents to disregard the law. For all their talk of Donald Trump being a tyrant, it’s amazing that Democrats want him to exercise unlawful authority. Meanwhile, when he does things within his constitutional purview, activist judges spring up out of nowhere to challenge him. Further, on Costner’s statement, the government isn’t responsible for separating the families. The parents are. If an American citizen breaks the law with his child in tow, the kid doesn’t go to jail with him. However, in an unbelievable twist of irony, that was precisely the previous immigration policy. The ninth circuit court of appeals, a very liberal court, said it was unlawful to detain children with their parents, thus the kids must be remanded to social services. Now liberals are arguing the exact opposite. Again, what they want is open borders. Since that isn’t happening, they want catch-and-release, meaning there’s zero deterrent to getting caught at the border. Finally, Costner said he doesn’t recognize America. He’s right about this one. The reason why is because the left has gone completely insane. In 1994, Bill Clinton delivered a hawkish message on immigration that received a standing ovation. Hillary Clinton has also used harsh rhetoric on immigration. That sounds eerily similar to the stance undertaken by the Trump administration. Yet now, both Bill and Hillary are saying the opposite. They must think the American public has a short memory, and completely forgot when Bill ripped Elian Gonzalez from parental custody and sent him back to Cuba. The Democrats’ embarrassing yet troublesome slide toward far leftism has made America “small,” as Costner put it. Barack Obama and other leftists have an anti-American streak in them, so they want to diminish American influence and power. More and more Americans are waking up and understanding that these leftist policies are not in their best interest. The Democratic Party apparently cares more about illegal aliens than any of their voting blocs.